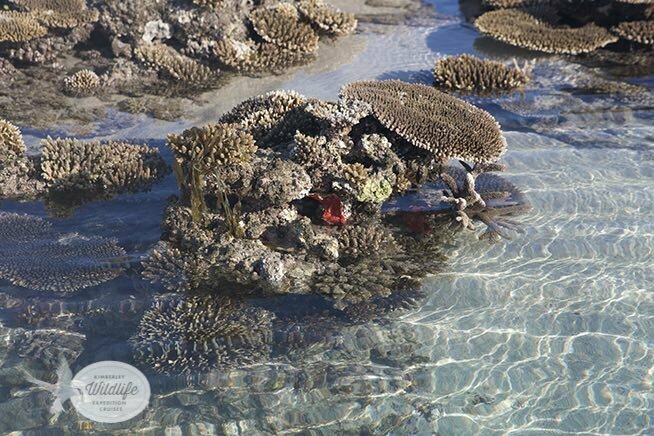 Richards, Bryce and Bryce have recently published a paper highlighting the unique assemblage of corals, rollaliths and coraliths at Adele Island, the farethest island off the Kimberley coast. A subtidal zone of mixed corallith and rhodolith habitat appears to be the most extensive on the Kimberley coast, and an atypical Organ Pipe Coral habitat zone has an unparalleled level of benthic cover. An assemblage of corals on a small bombie near Adele Island off the Kimberley coast.